After working for several months to deploy Meep in Lisbon, we finally did it. It was time for Demo Day, where we presented our achievements thus far and our future plans for the app. We described the process of working side by side with the transport operators in Lisbon and integrating all of the information onto the platform. Though still in its first iteration, Meep is full operative and available for download here! Meep Lisbon offers several features, completely new to the market. All of the primary transport operators in the city are displayed and available within the app, where users can plan and completely customize their routes. Meep creates new connections between the various transport options, creating more accessibility in the city and enabling smarter and cleaner travel. The fast approaching phase two of Meep Lisbon will allow users to book and pay for their trips directly in the application, which we anticipate launching in collaboration with the Câmara de Lisboa (CML) for whom connected mobility is a top priority. What is the new mobility? A large part of new mobility refers to the rapid increase of transportation alternatives in a city, and Lisbon is no exception. While public transportation still has the largest network and points of access, locals and tourists have a growing number of options from which to choose including three different ride-hailing services, four car sharing companies, two scooter sharing services and one famous kick scooter. And this is only the beginning. More players are entering the game, helping commuters to leave their private cars at home. What happened in the Demo Day? Beta-i elected to host Demo Day at Museu da Carris — a hidden gem. This unique spot is a museum that details the history of public transportation in Lisbon, complete with original trams among other exhibits. A better place to discuss the future of mobility for the city could not exist. Miguel Gaspar, the Deputy Mayor for Mobility and Safety in Lisbon, opened the convention by giving a welcome talk detailing the vision for mobility in the city, and how it will shape the habits of Lisboetas. Key in this vision is the plan to implement a multimodal, fully integrated transportation ecosystem within just two years. After the opening speech, Gonçalo Faria presented an excellent review of the program, demonstrating the efforts involved in launching the pilots of all participating startups through videos of the Bootcamp, months of weekly meeting and continuous negotiations. And then it was on to the individual pilot presentations. We heard first from the startups launching B2B solutions and then from those behind B2C. The startups in the B2B camp are attempting to improve the mobility ecosystem in Lisbon through a variety of technologies for everything between infrastructure and design. To name just a few: Eccocar, an innovative solution for car sharing companies that improves efficiency and reduces cost; Xesol, designers of a smart video camera for intersections; and others like AIPARK, Appyparking or Parkio, all working on different aspects of parking in the city with its limited space. A panel of experts including, EMEL, Daimler, Ferrovial Serviços, Brisa, TOMI and NOS, closed out Part I with a discussion about the importance of these new solutions and the significant impact they could have on the companies involved. “Lisbon has to be multimodal.” — Bruno Tavares, M&A and Startup Program Manager at Brisa. Startups whose pilots will directly impact the consumer presented in this section, which of course includes Meep. Most of them were new solutions that are attempting to meet existing needs. Up first was MotionTag from Germany who designed an analytics system to understand new mobility patterns. We next had the opportunity to see and test e-floater, an innovative scooter by Jannick Hofrichter. Other notable names like Shotl and Wall-i were included in this round, as well. Finally, it was our turn to shine, and to introduce the new mobility platform for Lisbon and its leading transport operators. We successfully reviewed all the milestones achieved leading up to Demo Day, integrations to date and finally our future plans with Lisbon. Better Urban Mobility: We believe that by offering not only more, but better connected transportation options, in a single, user-friendly platform, ridership will universally increase. Meep is continuing to expand by integrating new operators in the application and is always open to further collaboration. We are using the acquired data to analyze mobility trends to help CML achieve sustainable goals. Acting as the pioneers and promoters of a multimodal, seamless mobility platform. Creating a true community of Meepers. Part II also ended with a panel of 6 experts from Axians, TdP, Cisco, CML, Carris and Metro. 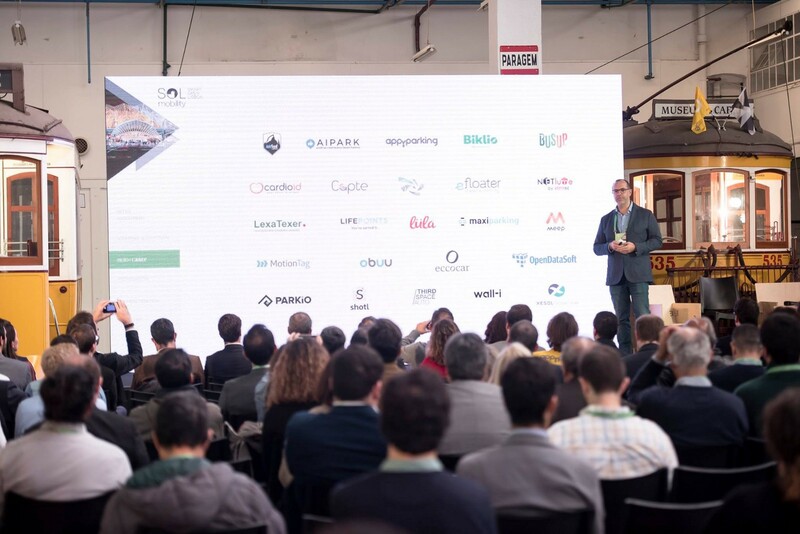 Demo day is the official green light in the race toward better mobility in Lisbon, and we were really honored and thrilled to be a part of SOL Mobility. We want to give a big thanks to Beta-i team (Gonçalo, Aristea and Mohamed) and all the partners for the immense work they did to make this journey possible.